Hello lovelies, Happy Saturday! Yay I have finished work, for a day! But get to spend the night and day tomorrow with my man till he goes back again Monday so I'm happy. Here's a pretty lipstick for you all. 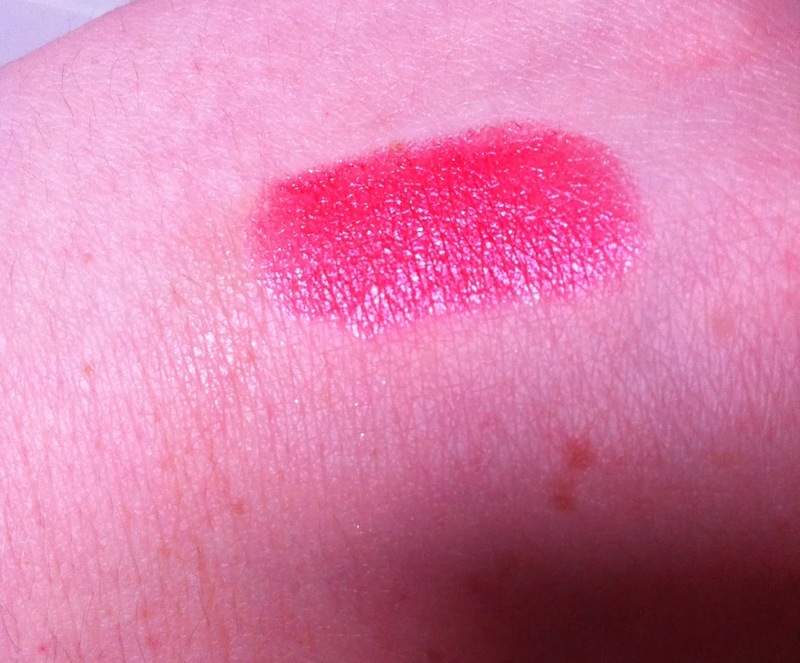 A gorgeous pink lipstick with shimmer particles in with a hint of orange. Cheap and cheerful lipstick that I am very fond of in my lipstick collection. I love the girly pink packaging too. Nice and glossy on the lips its not too 'out there' to not pass of as a day time lipstick either I think. Really pretty pink to go with the name pretty please. Do you own a Collection lipstick? Really affordable to build up your lipstick collection. This is gorgeous Paige :-) Love the colour. Enjoy the rest of your weekend. Love this colour, looks great with your skin tone!